The Stingray Collection is an aero dynamic style and offered in Brushed Nickel or Rubbed Oil Bronze finish selections. The Stingray 47.25" Track Light a sleek straight bar 5-light fixture with swivel lamps for focused lighting. 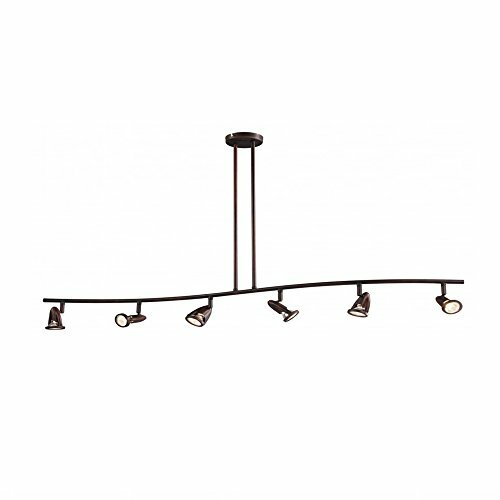 This fixture includes two adjustable hanging bars, allowing for custom height placement. The Stingray 47.25" Track Light easily coordinates with multiple other items from the collection for a polished look throughout your home. Bulb Type: Halogen. For Indoor use. Has adjustable dimensions. This item is ok for vaulted ceilings. The materials used are: Electrical, Metal. The Finish is Rubbed Oil Bronze. Bulb base is GU10. The bulb is not included. This item is dimmable. The bulb shape is GU10. Dry listed. Warranty details: One year limited Warranty. The Angela Collection supplies ample lighting for your daily needs, while adding a layer of Victorian style to your home's decor. It is perfect for adding a warm glow to a variety of interior applications. Elegant lighting is always in style with multiple cut crystals that sparkle and shine throughout the Angela 15.75" Pendant. With the Angela Collection, Polished Chrome branches reach out with dangling crystals while this open frame fixture uses three lights for all-over glow from within. 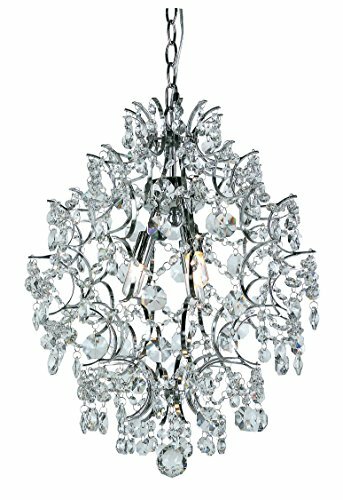 Three bulbs are included with the Angela 15.75" Pendant. A crystal sphere on the bottom adds the finishing touch to this beautiful collection. Bulb Type: Halogen. For Indooruse. Has adjustable dimensions. Chain length: 96 inches. This item is ok for vaulted ceilings. Type of glass is Crystal. The materials used are: Metal, Crystal, Electrical. The Finish is Polished Chrome. Bulb base is G9. The bulb is included. This item is dimmable. The bulb shape is G9. Dry listed. Warranty details: One year limited Warranty. American heritage home decor 4 light wagon wheel chandelier with candle saucers and 1 1/2-Inch thick frosted glass candle shaped shade. Matching styles. 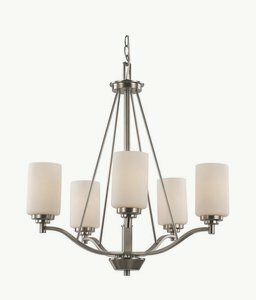 The Cadance 33" Chandelier illuminates any room it is placed in and provides a pleasing look to the living space. The body of the chandelier stands out among decor with its bold and Contemporary design. 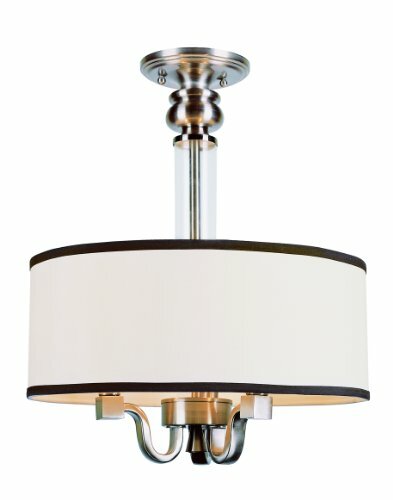 This nine light fixture features small White Linen drum shades that are trimmed in a Brushed Nickel finish. Each item from the Cadance Collection comes with matching mounting hardware. Bulb Type: Incandescent. For Indooruse. Has adjustable dimensions. Chain length: 96 inches. This item is ok for vaulted ceilings. The materials used are: Metal, Acrylic, Electrical, Fabric. The Finish is Brushed Nickel. Bulb base is E12. The bulb is not included. This item is dimmable. The bulb shape is Candelabra. Dry listed. Warranty details: One year limited Warranty. Create an outdoor look inside with this bent iron lighting collection. Crafted flared rectangle shades in tea stain glass add a handsome look. The Mod Pod Collection is a striking design, ideal for creating a dramatic entrance to a foyer or adding light to your dining areas. This timeless, classic design will bring a heightened awareness to the decor of any living space. The Mod Pod Collection is Modern style indoor lighting, with a transitional urban influence. White Frost heavy candle shades and steam-punk piston style hardware give the Mod Pod collection a recycled appeal and an industrial attitude. 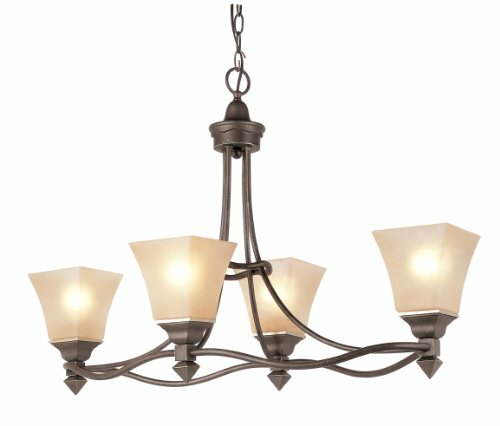 Three finish options are available to choose from for the Mod Pod 25" Chandelier, making it easy to blend with warm or cool color interiors. 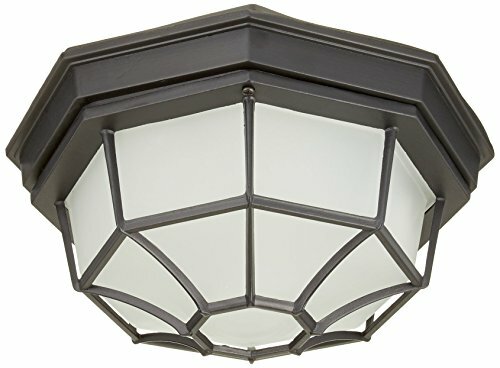 This fixture features five lights, a round canopy and a chain for hanging. Bulb Type: Incandescent. For Indooruse. Has adjustable dimensions. Chain length: 96 inches. This item is ok for vaulted ceilings. Type of glass is White Frost. The materials used are: Metal, Glass, Electrical. The Finish is Brushed Nickel . Bulb base is E26. The bulb is not included. This item is dimmable. The bulb shape is A19. Dry listed. Warranty details: One year limited Warranty. The Tranquility Collection supplies ample lighting for your daily needs, while adding a layer of modern style to your home's decor. It is perfect for adding a warm glow to a variety of interior applications. 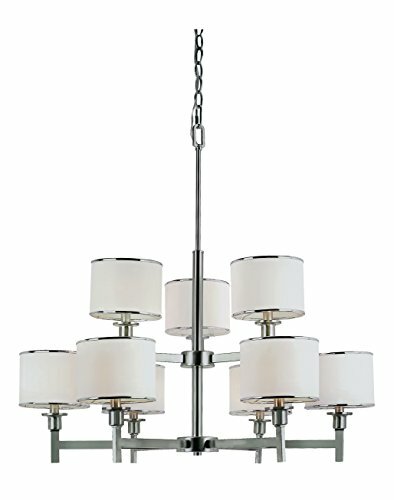 Tranquility 18.5" Pendant is an 8-light fixture that has a classic designer look, Contemporary styling and glimmers with layered strands of clear Beveled Acrylic tapers cascading like a fountain. This glamorous pendant is available in two finish choices and includes a matching for hanging. The elongated style adds elegance to any area it illuminates and easily pairs with other fixtures in the collection. Bulb Type: Incandescent. For Indooruse. Has adjustable dimensions. Chain length: 96 inches. This item is ok for vaulted ceilings. Type of glass is Acrylic . The materials used are: Metal, Acrylic, Electrical. The Finish is Polished Brass. Bulb base is E12. The bulb is not included. This item is dimmable. The bulb shape is Candelabra. Dry listed. Warranty details: One year limited Warranty. The Montclair 20" Semiflush is a ceiling fixture designed to provide diffused lighting in a variety of applications. The Art Deco inspiration will complement any bedroom, entry, kitchen, dining room or hallway. The Montclair Collection combines a White Linen shade trimmed in Dark Brown with a classic Brushed Nickel finish to create the perfect blend of elements that will exceed your expectations. This functional yet stylish fixture will add a renewing element in various decor settings. Bulb Type: Incandescent. For Indooruse. This item is ok for vaulted ceilings. Type of glass is Clear. The materials used are: Metal, Glass, Electrical, Fabric. The Finish is Brushed Nickel. Bulb base is E26. The bulb is not included. This item is dimmable. The bulb shape is A19. Dry listed. Warranty details: One year limited Warranty. 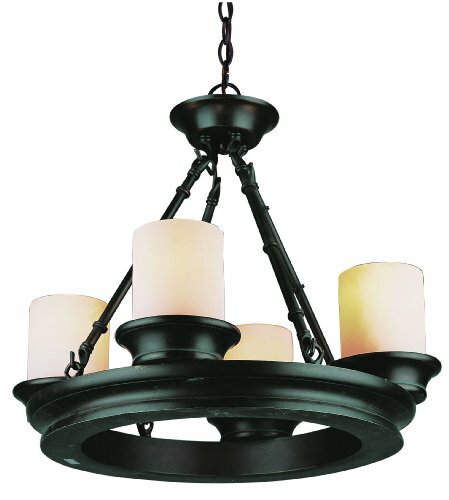 Looking for more Trans Globe Metal Chandelier similar ideas? Try to explore these searches: Shatterproof Finial, Casio 50 Meter, and Cross Clear Crystal Diamond. Look at latest related video about Trans Globe Metal Chandelier. Shopwizion.com is the smartest way for online shopping: compare prices of leading online shops for best deals around the web. 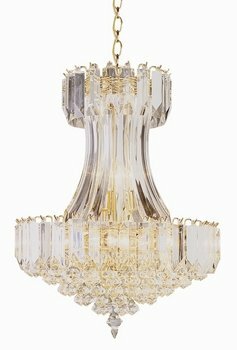 Don't miss TOP Trans Globe Metal Chandelier deals, updated daily.